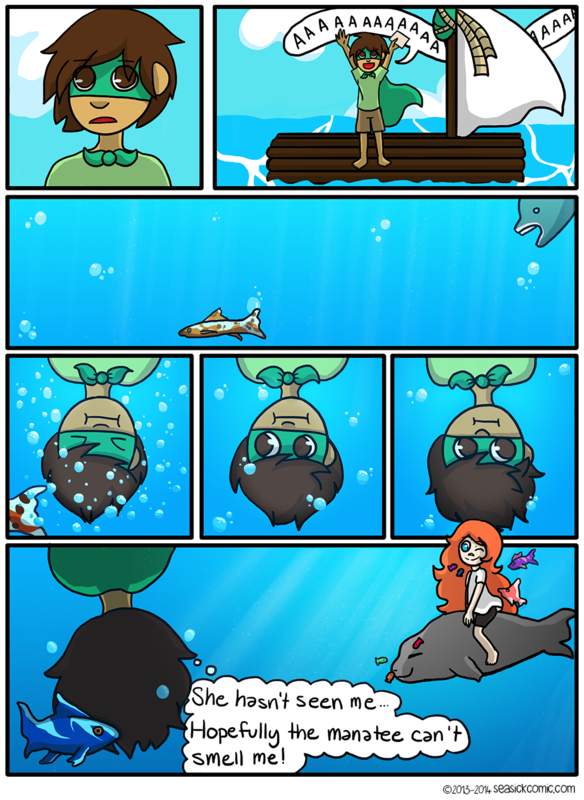 Chapter One – Page Five – Seasick – The Underwater Adventure Comic. Updates Fridays! on January 26, 2014 and modified on January 26, 2014. We’re trying something new for this one! I’m actually quite happy with this page. By the way, I know we got some new readers, so..thanks! Please tell your friends and etc!